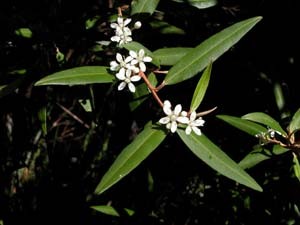 Tasmania has one species of Nematolepis - N. squamea (lancewood), a common wet forest tree formerly known as Phebalium squameum. 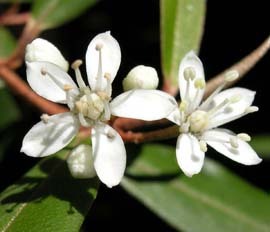 The leaves are simple and entire, and smell strongly when crushed. 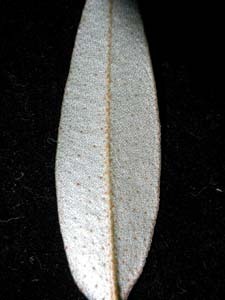 Like the leaves of Phebalium daviesii, they have distinctive silvery undersides of the leaf (formed from peltate hairs). 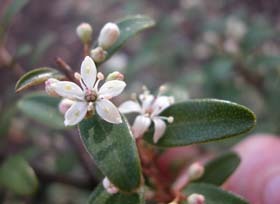 The flowers are white and abundant. They have five free petals and 10 free stamens. Apart from the more common var squameum, there is an uncommon variety (var retusum) with smaller leaves.